By Peter McSherry, writer, author and taxi driver. To all my readers – I wish to thank Leroy St. Germaine and Your Ward News for their interest in publishing a story with a message that seemingly no other publication in Toronto, except for Taxinews, would publish. – P. McSherry. Aged 70 on my next birthday, I am just sitting here thinking back in time – pondering my 42 years as a nighttime Toronto taxi driver, pondering especially the one taxi-industry theme that looms up above all else: the ever-increasing victimization of the Toronto taxi driver for money and other fiscal advantage by the political-bureaucratic system of the City of Toronto. The absolute climax of this abuse came on February 19 last, when Ward 32 Councillor Mary Margaret McMahon rose in the Council Chamber and, after briefly prattling on about an action the consequences of which she surely barely understands, proposed that the Council pass into law a set of recommendations that would first bankrupt the taxi industry in order that the City can take back legal assets that the City itself had formerly induced mere taxi drivers to structure their working lives around earning: the 3,480 equity taxi plates. These changes require, too, the creation of a new class of lesser-value equity taxi plate – the Toronto Taxi License (TTL) – to which the pre-existing plates and the Ambassador permits are, according to the recommendations put forward, to be “migrated” within 10 years. And, too, the recommendations demand numerous other costly changes, the most onerous of which is the eventual saddling of the industry with the condition that every taxi must be a wheelchair-capable accessible cab. In fact, the City appears to want to be the actual renter of the taxi plates itself. And, too – as none of the politicians have yet told the public – their method is to bankrupt most of the industry to achieve this end. After McMahon’s motion was passed by a vote of 31-12, other Councillors further proposed more cost-ineffective recommendations that, taken together, might be described as business comedy. Some of their ideas were added onto the initial recommendations passed on McMahon’s motion, with all of the costs, of course, to be ultimately inflicted on the cab drivers who are now clearing much less than the minimum wage. All of this inept thinking was approved by City Council by an increased majority. But the reader should know that, in my first years in the business, the taxi industry then provided a reasonable return on the driver’s labours. Six dollars was what I paid for a license to drive a cab when I came into the taxi business for good in October 1973. My first five months as a fleet taxi driver, working five 12-hour shifts-a-week, I was able to clear an average $38-a-shift, when a high school supply teacher then made $36 for a 6-hour day. Forty years later, in October 2013, I was asked for $315.43 for my annual renewal of a mere license to drive a cab, plus $59 plus HST to put me through yet another of the City’s money-making CPR courses. If I went out now and worked myself to exhaustion six or seven 12-hour shifts-a-week, as most shift taxi drivers now must do, I might be able to take home an average of $65- to $70-a-shift over a year. Which is not a lot better than half the minimum wage. By comparison, that same high school supply teacher I mentioned now makes about $250 for a 6-hour day. So the Toronto taxi driver has fallen a long way behind. If you don’t believe me, have a look at who we now are. If you haven’t had practice at deprivation in some Third World country you don’t belong in the taxi industry the City of Toronto has been operating for many years now. Canadian-born taxi drivers under the age of about fifty-five, like Jewish heavyweights and the DoDo bird, are now extinct or nearly extinct. So far as I know as a taxi driver and as a long-time taxi journalist, the City began running its taxi industry as a cash cow during the international monetary crisis of 1978-1982 – a time of extremely high interest rates – when at worst the prime rate hit 23.1 percent and accrued public debt was then doubling in just over three years. At the same time, many new immigrants were then piling up on welfare and the City, which pays 20 percent of welfare costs, and the Province, which pays 80 percent, perhaps worked out a deal: Some say the most burdensome of all of the City’s long-established exactions on its taxi industry was and is its ongoing accommodation with the Province of Ontario’s “Airport Exemption,” which, since 1978, has allowed out-of-town cabs to pick up and take Toronto fares to the airport. Thus, Toronto cabbies who get tired of constant driving in traffic – and who can’t find a spot to sit on an ordinary cab stand because the City over issues taxi plates that make it money but doesn’t create cab stands that reputedly cost $25,000 to build – can try to get onto a hotel’s taxi stand. There, since 1978, they have to watch out-of-towners, who pay “a $15 cookie” – a bribe – to the hotel doormen, routinely take away all of the airport and other faraway fares, while the Toronto drivers just as routinely get to service their leavings. Oddly, the out-of-towners pay the City of Toronto nothing at all in licensing fees, while the Toronto drivers who pay through the nose, are also indirectly paying a significant chunk of Toronto hotels’ labour costs. Is it just possible that these other two interests piece off the City and/or some of the Councillors who so ably and regularly now take well over a million dollars-a-week worth of airport business from us? Anyway, once the City started down this trail, it wasn’t long before it was running its taxi industry as an outright money maker and money-saver for itself. Even in the boom economy of the late 1980s, the effects of these three massive cuts in incoming revenues – most especially the 1987 cut – could be badly felt by the driver. Almost everybody else was still making good money, but Toronto taxi drivers had by then lost ground badly. 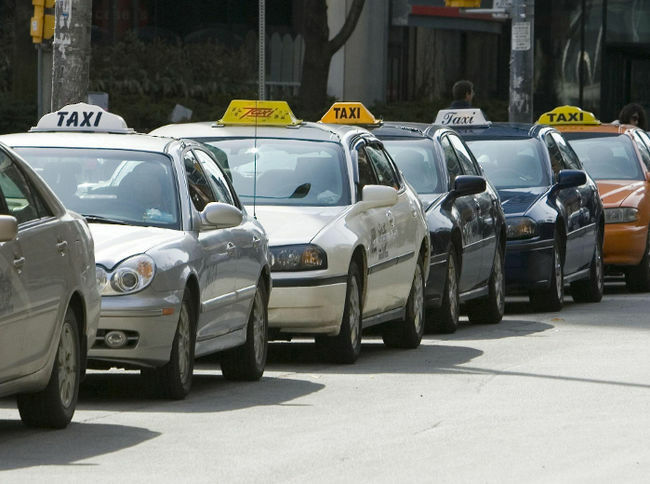 Many cab owners and drivers would soon begin bailing out of the industry – for, if there’s one thing every Toronto taxi driver of long experience knows, it’s the effects of a depressed economy on an overloaded taxi system. NEXT MONTH – The awful depression of 1989-1994, and more and worse blood-sucking by the political-bureaucratic system of the City of Toronto. Peter McSherry was a licensed shift taxi driver for 42 years and has been a taxi industry journalist for more than 20 years. He is the author of three published books, one of which is Mean Streets: Confessions of a Nighttime Taxi Driver. The story is a clear indication of the flaws of the left and corruption. They believe that taxing everyone to pay for the theft of taxpayers monies is going to balance the budget. The corruption is seen more with female politicians, unfortunately, and they tend to play the victim or hold no responsibility for the mismanagement of monies. This is no different than the modern women in Canada today who live a diva lifestyle that the Federal Reserve can’t keep count. I think the Men Going their own way movement is correct in ideology. Will hardworking Torontonians wait until they are taxed 75% of their income to pay for the pay increases of public sector workers? Canada has enough land to form a new community.